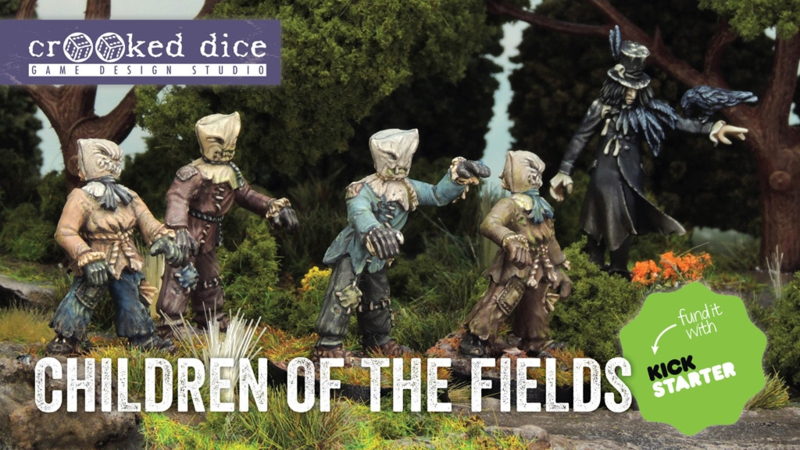 Children of the Fields – the latest programme guide for 7TV from Crooked Dice games – has launched on Kickstarter. The Kickstarter is to help fund the production of a new range of miniatures, based on the Folk Horror genre of TV progammes and films that we saw in the 70s – anything from Children of the Stones and the Village of the Damned through to the Wicker Man. I saw this range of miniature at Chillcon earlier this year – they look great: full of character and certainly a little unusual.